Street Magic teaches you the secrets of close-up, under-your-nose, in-your-face magic and shows you how to perform the best tricks made popular by today's great magicians, so you can amaze and impress everyone you know. The definitive guide to performing amazing magic anytime, anywhere, Street Magic starts with simple but impressive tricks with everyday objects and builds to more sophisticated routines using the skills you pick up along the way. Perform simple yet astounding card and coin magic, convince people you can read their thoughts, and learn possibly the best card trick in the world. And to make your performance even more exciting, Street Magic teaches you how to show off your card-handling skills with expert flourishes, embellish your showmanship with magician's patter, and perform next-to-impossible tricks with secret gadgets. With step-by-step instructions and helpful photographs, Street Magic reveals the secrets behind some of the most popular and astonishing magic tricks. 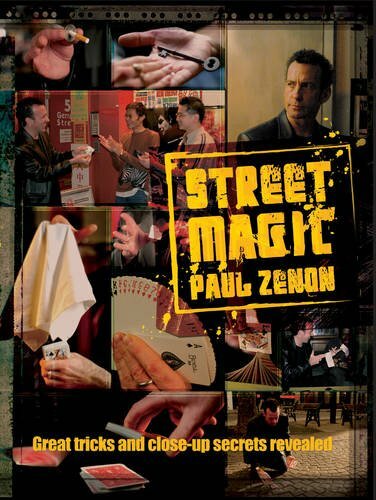 Paul Zenon is a well known performer and street magician. He lives in the UK.